Building software solutions that focus on growing your company’s revenue is priority number one at Lead Liaison. Our solutions help companies attract, convert, close and retain leads. We drive demand to a company’s website then turn that demand into real-time, actionable, and measurable leads. Our sales and marketing products are all part of our family of software solutions, called Revenue Generation Software®. When used together, they create a powerful operations engine for your business. Come see why we put you, the customer, and your revenue-growth, at the core! Our core solutions are efficient, effective, and incredibly powerful. Our Add-Ons make our already supreme solutions even more impressive. Our event lead management solution, GoExhibit!™, allows users to design custom forms, instantly provision mobile devices, quickly capture leads onsite using a mobile app called GoCapture!™, and then immediately segment, distribute, export, follow up with, and/or nurture leads without missing a beat. 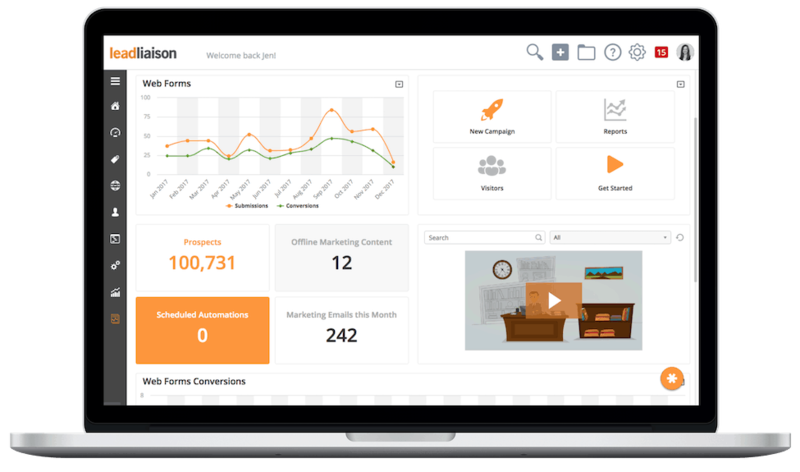 Lead Liaison’s marketing automation platform contains all the solutions a marketing team needs to step into the world of modern marketing. 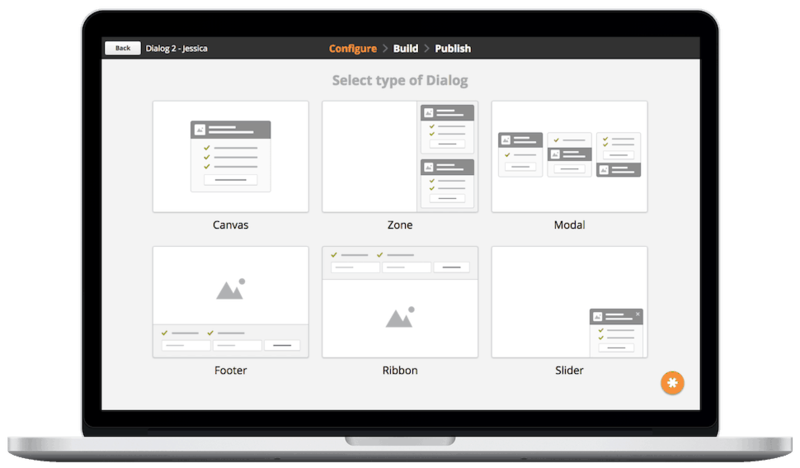 The marketing automation suite includes a number of solutions to help track, qualify, distribute and convert more leads. We’ll help you measure effectiveness of your marketing campaigns and deliver sales-ready leads to your sales team. 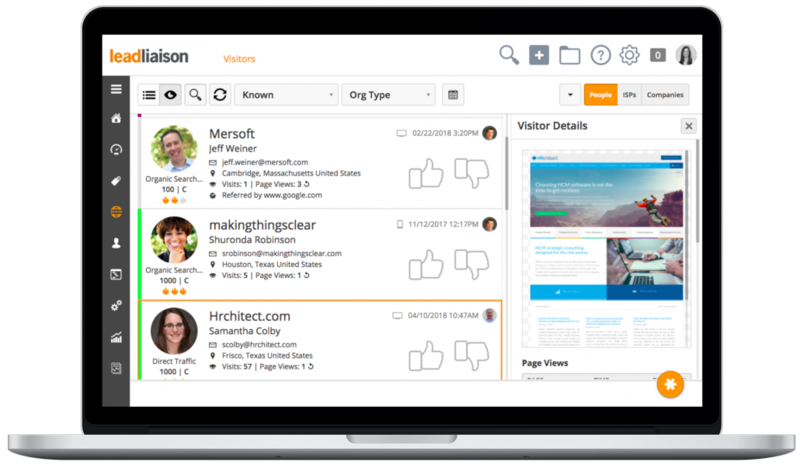 ProspectVision™ is Lead Liaison’s website visitor tracking solution. ProspectVision™ not only identifies companies that visit a website, but people as well. The holistic tracking solution doesn’t just track page views, it builds a rich prospect profile consisting of offline and online engagement (marketing email, direct mail, videos, sales emails, documents, and more). 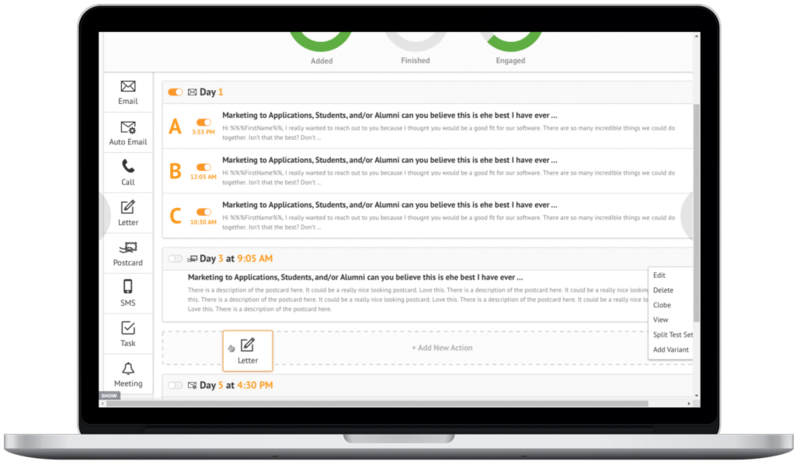 OneFocus™ is a sales-friendly CRM designed to reduce data entry and improve ease of use. 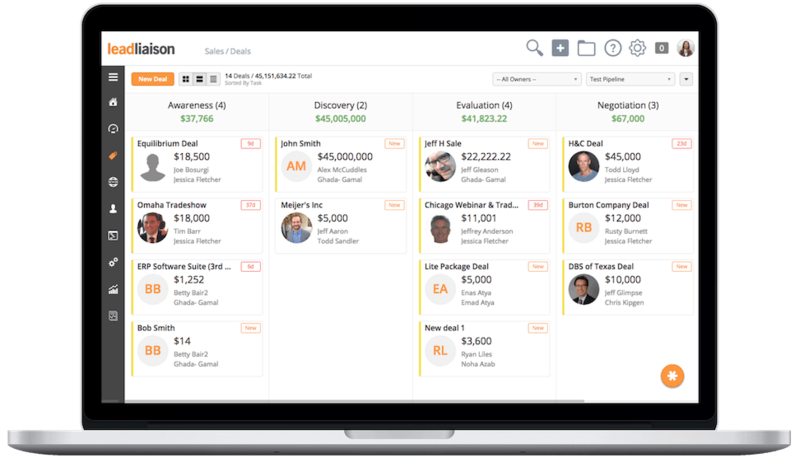 The solution removes clutter typically found in alternative CRM systems while delivering core CRM capabilities that manage pipeline deals, tasks, and notes. OneFocus™ complements Lead Liaison’s suite of solutions via a deep, natively built integration with our marketing automation and visitor tracking software. Now’s the time to give your customers, partners, and prospects one focus! 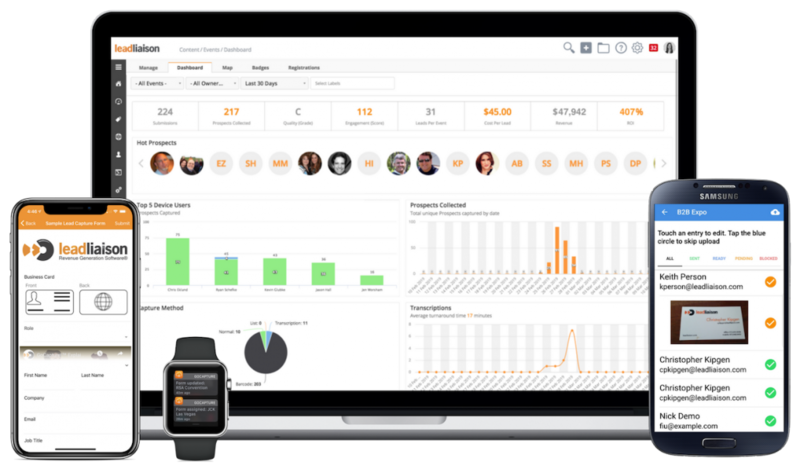 SiteEngage™ is Lead Liaison’s solution that helps companies engage website visitors and convert anonymous website traffic into identified individuals. Companies can use SiteEngage™ to deeply personalize content, whether it’s embedded or displayed through an engagement window that’s overlaid onto a website. Companies use SiteEngage™ to build newsletter lists, display offers and secure new customers. Data is in abundance, and Lead Liaison helps businesses collect data on prospects, customers, and partners who engage with your company’s sales and marketing efforts. Mix in demographics and social insight and you’ve got a data buffet. But how do you make sense of it all? Without the right platform to deliver useful insight, it’s impossible. 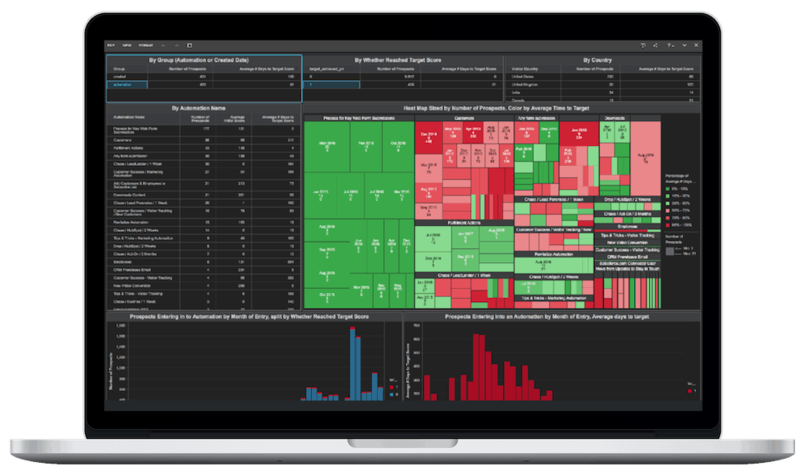 That’s why we created Revelation™, an analytics platform built on the industry’s best business intelligence engine, to deliver rich visual insights that answers those burning questions.